It’s a family affair. Hoss’s grandmother, Della Taylor Hoss, was a brilliant artist and one of his greatest inspirations. 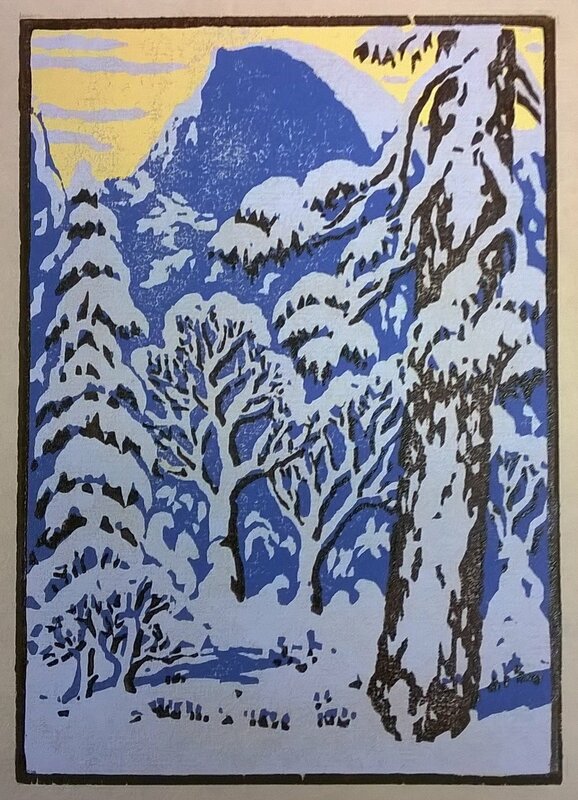 In 1928, while living in Yosemite Valley, Della created a series of small editions of woodcut prints to commemorate her experience. Half Dome Winter, Half Dome Spring, El Capitan and Cathedral Spires were exceptional pieces in their own right. In 2011, Hoss began printing new editions from Della’s original blocks, adapting the colors and the print methods to reflect his own artistic inspiration, while also honoring the legacy of his grandmother. All prints are titled, numbered and signature stamped. Hoss continues to print new editions of the Yosemite woodcuts and sells them through the Ansel Adams Gallery in Yosemite or through this site. To learn more about Della Taylor Hoss and her prolific career, visit www.creativeoffsprings.com, or contact us.